Learnfast offers a wide range of certification programs designed to take your career to the next level! One of the AATC requirements is that we only use Adobe Certified training instructors meaning our training is of the highest standards. We work hard to ensure that we meet Adobe’s requirements and want to assure you that if you need Adobe training that you will receive world class service. We offer our students a unique and distinguished mark of quality within the Information and Communications Technology (ICT) industry. It is a proven, strong, audited industry credential and the premier benchmark for ICT companies wishing to prove their business excellence and adherence to best practices. We constantly aim to show our ability to develop and deliver upper-echelon ICT solutions and services to our customers and prospects. Whether you want to learn a new Microsoft technology, prepare for your Microsoft Certification, start a new career in IT, or improve your marketability, Microsoft Learning Partners can help you achieve your training goals. Microsoft Learning Partners are the only ones in the market authorised to deliver Microsoft Official Courses (MOC). Microsoft Official Courses are job-relevant, technical training materials based on specific job roles or technologies. And, when you sign up for training with select Microsoft Official Courses, Microsoft offers additional online companion content for you to access virtually anytime, anywhere, from almost any device. The Sage Pastel Authorised Training Centre (ATC) programme has been created to play a prominent role in increasing the skills level and facilitating the desired knowledge transfer in the SME business environment. 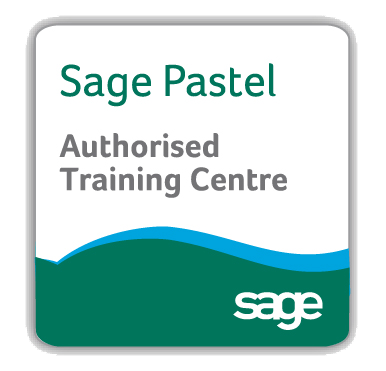 Sage Pastel Authorised Training Centres are independent organisations that deliver a range of educational and vocational services based on the Sage Pastel Accounting software range. The Sage Pastel ATC programme is global and implemented through a diverse distribution strategy. It is considered an important resource for training on Sage Pastel Accounting and related Sage Pastel Software. The vision of the Education, Training and Development Practices Sector Education and Training Authority (ETDP SETA) is to promote and facilitate the development and improvement of the skills profile of the sector’s workforce in order to benefit employers, workers and employees in the sector. Its mission is the promotion, facilitation and development of education, training and development in which: the skills levels of employees and workers are raised; there is a healthy balance between supply and demand in the labour market; there are diverse, flexible routes for initial and in-service education and training; a variety of career paths is available; the quality of education and training provided is improved; the levy grant scheme is efficiently administered.